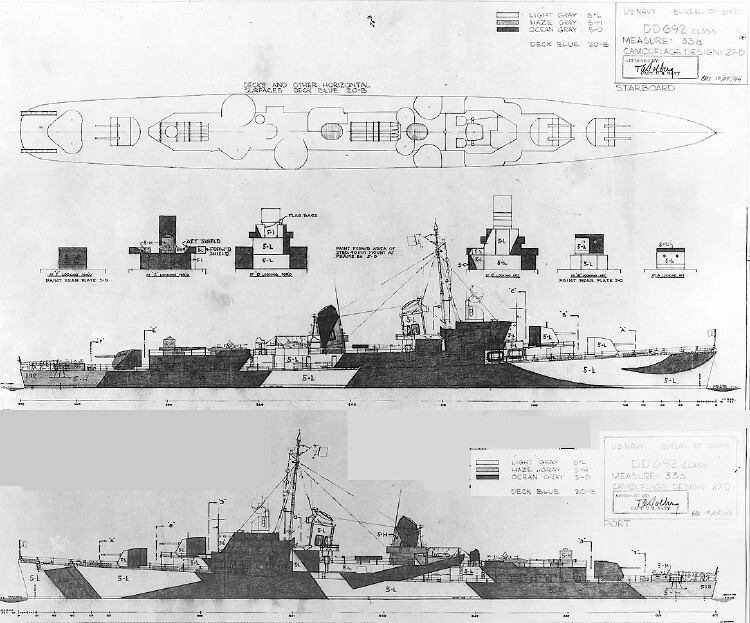 This is the drawing for Measure 33a Design 27D for the Alen M. Sumner class destroyers dated October 25, 1944. The port side pattern resembles the port side of 24D. 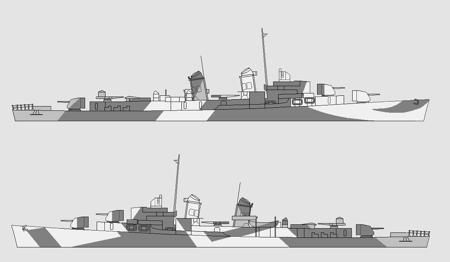 This design was developed later among the various designs, and used Measure 33a colors of ocean gray (5-O), haze gray (5-H) and light gray (5-L) with deck blue (20-B) for the decks. Original drawing source: NARA 80-G-104907 and 80-G-104908.